The original bodybuilding classic is here to stay!For more than seventy five years, Charles Atlas®-twice named "The World's Most Perfectly Developed Man"-has helped thousands of 97-pound weaklings bulk up, build muscle, and stop bullies from kicking sand in their faces. Without the use of expensive supplements or equipment, this book utilizes Atlas's groundbreaking theory of "Dynamic- Tension®," which can be used at home or in the office, by anyone. Also stressed is a balanced nutritional approach, contradicting the modern health fads and fashionable diets that come and go. 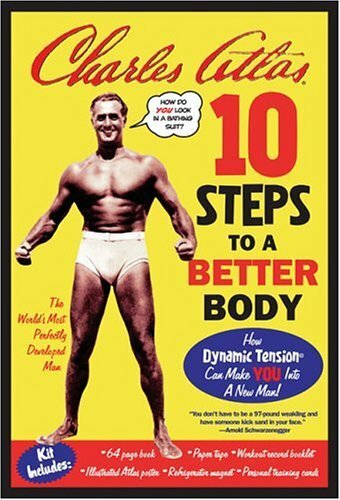 Strongly endorsed by fitness luminaries like Arnold Schwarzenegger and Jake Steinfeld (Body by Jake), after half a century Charles Atlas® is still the original master of the body makeover. Charles Atlas® was the original fitness mentor. He turned his title of "The World's Most Perfectly Developed Man" into a mail-order physical training course that has been getting America, and the rest of the world, into shape for more than seventy five years.